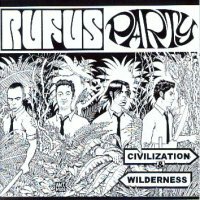 Blues and Rock- this is RUFUS PARTY, from Italy. Old school- good school! 4 guys, who are able to play their instruments in an brilliant way. They are real musicians as they show this with Civilization & Wilderness, which was recorded in 2007. Unfortunately we did not hear about the band in our area. A real shame. Slow tracks as well as Midtempo-songs make this record very diverse. Lyrically, the guys look back to the last 2 years on the road, with themes like love, hate... -that is blues man- . A few years ago the quartett played some gigs in the Big Apple and that means a lot. Their record was produced by Carlo Enrico Pinna, in analog way! RUFUS PARTY got the blues! Great work guys!! !